Until very recently, Abruzzo has been one of Italy's best kept secrets and undiscovered regions. This is changing, however, as media articles bring attention to the natural beauty, historical treasures and stimulating cuisine that Abruzzo offers. Consider the ski resort of La Majelletta. Here you can see the sea whilst skiing - supposedly the only spot in Europe where this is possible! During those warm sunny days in Spring, why not ski or snowboard in the morning? Follow this with a tasty lunch on the slopes, whilst taking in views of Adriatic's crystal, blue, waters. Then head to the beach for some sunbathing and a swim. As you can see Abruzzo is now emerging as an attractive and exciting destination for visitors. It is also an increasingly popular area for house buyers, seeking either holiday homes or permanent residences. Prices are very reasonable, compared to other parts of Italy. There is something for everyone. The following information can only provide a brief introduction to Abruzzo. We recommend that you visit and explore yourself. You won't be disappointed! Pescara - Abruzzo has its own airport which is located just four kilometres from the city of Pescara. There are regular flights to and from London Stansted Airport with Ryanair. Other European countries, served by the airport, include Albania, Belgium, Germany and Romania. There are also seasonal flights to other European destinations. There are regular buses from the airport to Pescara centre which take about 10 minutes. It is possible to hire a vehicle from well-known car hire companies in the arrivals/departure hall. Ancona - Alternatively, Ancona Airport is just 55 minutes from the Abruzzo border with Marche, ideal for Abruzzo's northern coastal resorts. It has flights from London Stansted operated by Ryanair and, in summer, with EasyJet from London Gatwick. The airport has all major car hire companies present. Rome - Abruzzo is easily accessible from Rome's two large airports Fiumicino and Ciampino. The city is served by many flights from numerous, regional airports in the UK, Europe and other parts of the world. The centre of Pescara is approximately 2 hours 20 minutes away by road. All major car hire companies are represented. Pescara has a modern train station which is centrally located, adjacent to the bus station. There are direct services to most major Italian cities including Milan, Turin, Bari, Bologna, Venice and Rome. 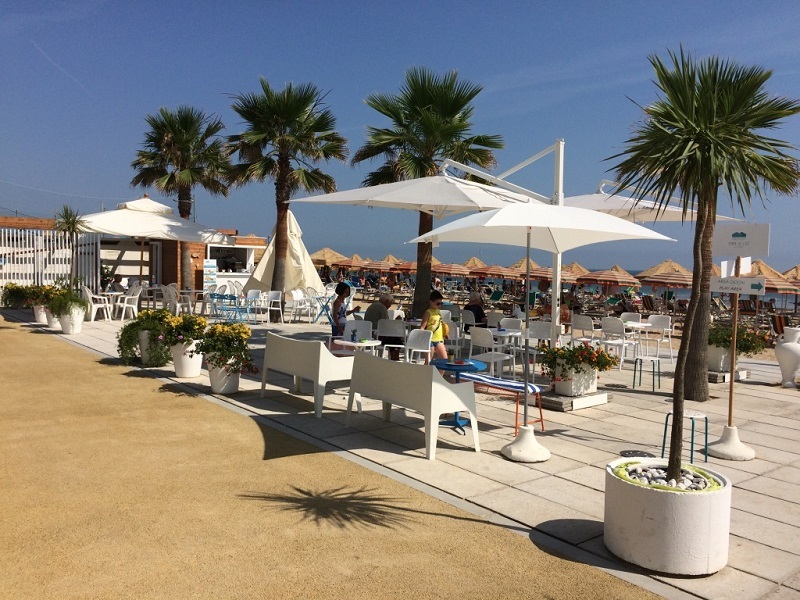 Many local services operate to beach resorts along the Abruzzo coast from Marche to Molise and to inland towns and villages along the Pescara Valley into L'Aquila Province. The province of Abruzzo is centrally located in Italy. It is connected to the rest of the country by a modern motorway network. The A14, also called the Autostrada Adriatica, connects Bologna with the southern city of Taranto. Its route through Abruzzo runs close to the coast with exits to the main resorts. The A25 connects Rome with Pescara and is also known as the Autostrada dei Parchi (Motorway of the Parks). It runs through the beautiful scenery of the Apennines and along the Aterno Valley. The A25 splits at L'Aquila with the possibility to take the A24. This motorway then connects to the northern Adriatic coast. It finishes at Teramo and continues by dual carriageway to the A14 at Giulianova. There are good bus routes to main Italian and European cities. 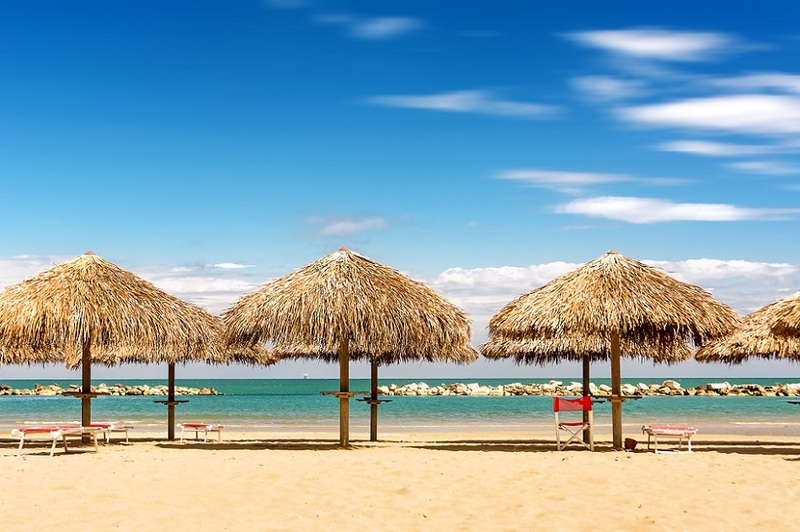 In addition, there are bus services from Pescara to local beach resorts and main inland towns. Due to the hilly/mountainous terrain and general infrequency of bus services to smaller villages, it is always advisable to hire a car to accommodate a comfortable travel plan. 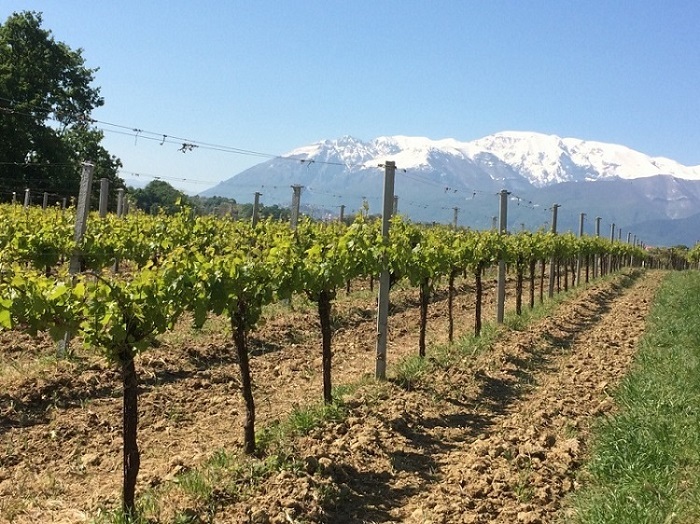 Abruzzo experiences a Mediterranean climate. Summer months are hot and dry whilst winters are cool to mild in coastal areas. In contrast, the mountains are cold and snowy, perfect for skiing. The weather ensures that Abruzzo can be enjoyed all year with beach activities from May to September and a thriving winter sport's season from December to March. Abruzzo is blessed with nearly 130 kms of coastline which borders the Adriatic. Teramo province, in the north, is characterised by wide, sandy beaches, many of which have been awarded with Blue Flag status. It is composed of the sette sorelle or seven sisters which are the main beach resorts in the province and include Martinsicuro, Alba Adriatica, Tortoreto, Giulianova, Roseto degli Abruzzi, Pineto and Silvi. During the day, it is great to relax on the on the wide beaches which slope gently to the crystal, clear sea. Wonderful for swimming and safe for children! The early evening is perfect for a leisurely stroll along the promenade before partaking in an aperitivo followed by a delicious dinner. Travelling further south, the shoreline of Pescara Province is only about 10 kms long and its two main resort towns are Montesilvano and Pescara, itself. The presence of beautiful beaches has boosted the popularity of both resorts and, after a relaxing day on the golden sands, there are plenty of shops, bars and restaurants to enjoy during the evening. For the young, or, young at heart, there are vibrant nightspots to visit as the day concludes. Francavilla al Mare, just south of Pescara, is one of the most popular resorts in Abruzzo. It has a stunning Blue Flag beach and fabulous lidos serving drinks, ice creams and tasty fish dishes. Just behind the lidos is a pedestrian walkway, jogging and cycle track, ideal for the more energetic. The town has plenty of restaurants to suit all budgets. The rest of the Chieti coastline is 70 kms long and stretches from Ortona to San Salvo. 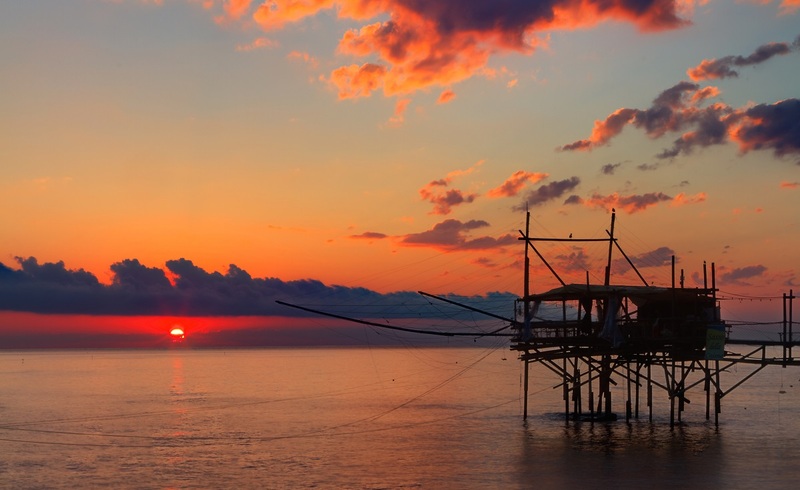 Much of it is known as the Trabocchi Coast named after the fishing machines, on stilts, that dot the shoreline. It is quite different to the northern coast and is characterised by the presence of cliffs, beaches, secluded pebble coves, reefs and fishing marinas. Some of the main resorts include Ortona, San Vito Chietino, Rocca San Giovanni, Fossacesia, Torino di Sangro and Casalbordino. The scenery changes again at the town of Vasto. The beautiful historic centre clings to a hill which overlooks the gulf and where wide sandy beaches and lidos run through the resort of San Salvo to Molise. At Vasto there is a large aqua park with slides, pools and games. For a unique dining experience, visit one of the trabocchi which has been converted into a rustic restaurant. Nestling over the sea, they have amazing fish dishes and delicacies on their menus. The mountains of Abruzzo enjoy heavy and enduring snowfall each year, sometimes receiving more than the Alps. Its resorts offer enthusiasts first class skiing, at a fraction of the cost, of popular Alpine destinations. The high peaks and vast plateaux provide excellent facilities for both alpine and cross-country skiing. There are resorts that are perfect for competitive skiers whilst others are more suited to beginners and families. 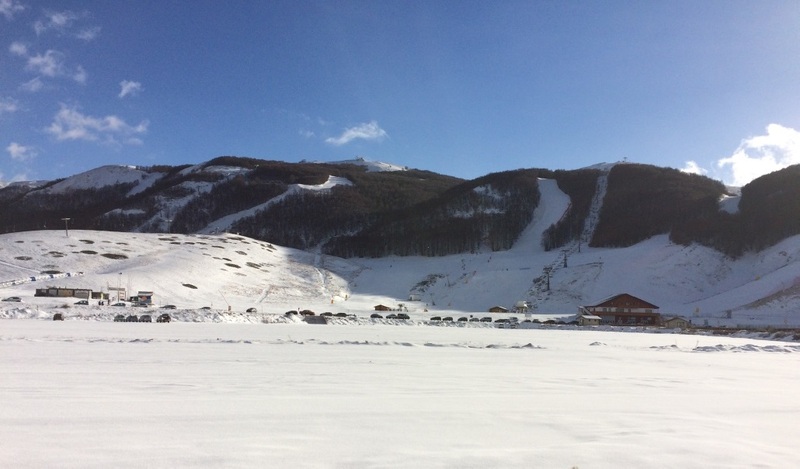 Abruzzo has many designated ski areas with Roccaraso being the fifth largest in Italy, with over 110 kms of piste. Ovindoli and Campo Felice add another 60 kms. 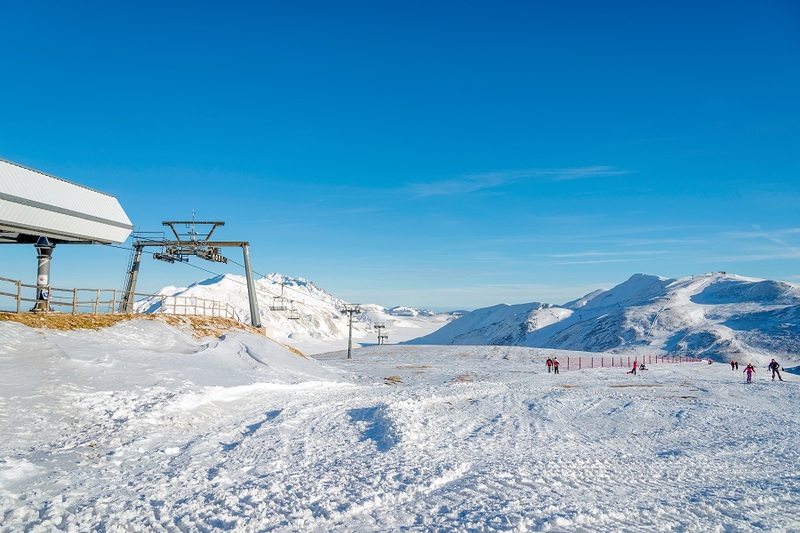 The slopes of Prati di Tivo and Passo Lanciano-Maielletta have a view of the sea, whilst many other resorts are rapidly developing in size with modern ski lifts and plenty of off-piste activities. Abruzzo is one of the snow world's newest, exciting and exhilarating regions. There are many snow shoe trails and facilities for snow-boarding, high altitude ski adventures, ski touring, snow kiting and dog sledding. Beside the slopes there are coffee bars and restaurants whilst many of the ski resorts are located close to enchanting mountain villages with shops, pubs, nightlife and a selection of eateries. Fishing and farming have been part of Abruzzo life for centuries and, as a result, there is so much to offer the gastronome. The food from this region is regarded as Italy's purist as it has not been influenced by foreign cuisines. The coast is known for its beautiful seafood whilst the hinterland has meat, vegetables, pulses and grains in abundance. There are many local food festivals where it is possible to sample the specialities of each area. Ventricina salami - a cured sausage of pork leg, loin and shoulder combined with sweet and piquant red pepper, fennel seeds, salt and black pepper. Cozze ripiene - mussels stuffed with breadcrumbs, garlic, parsley, extra-virgin olive oil, parmesan cheese, eggs and a splash of tomato sauce. Pecorino di Farindola which is cheese made with sheep's milk and pig's rennet to a traditional recipe. Maccheroni alla chitarra - a special pasta which absorbs sauce and is usually served with pork, goose or lamb ragout. Scrippelle 'Mbussa - thin crepes served with hot broth poured over them. 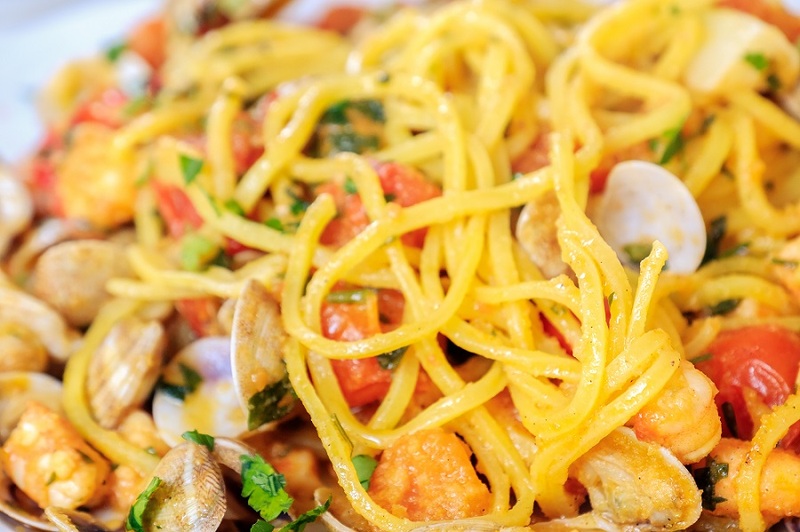 Le Virtu - a seasonal dish made of pulses, vegetables, meat and different types of pasta - up to 28 ingredients in total! It is normally eaten on 1st May to celebrate the arrival of spring after a harsh winter. Arrosticini - probably Abruzzo's most famous dish. 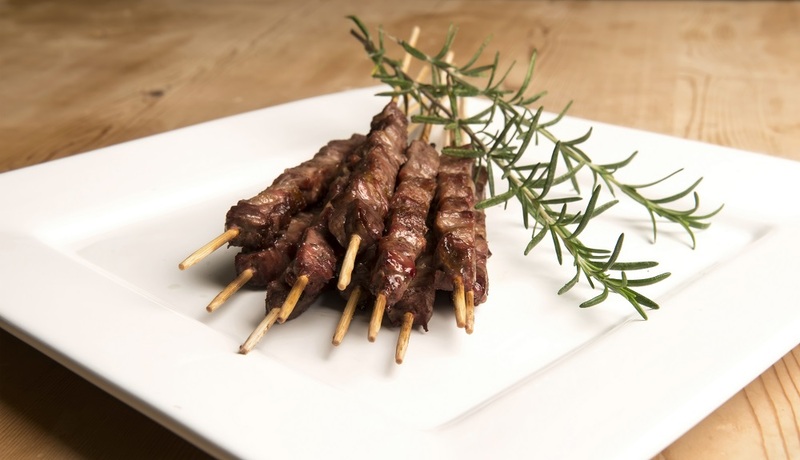 Small chunks of lamb threaded on a skewer and seasoned with salt, pepper, olive oil and rosemary. They are often cooked on a special narrow grill. Brodetto alla Vastese - delicious fish soup originating in Vasto and which is served along the Trabocchi coast. Porchetta - a wonderful roast pork which dates back centuries. Farratelle - traditional wafers usually flavoured with aniseed. Bocconoti - rustic pastries with stuffing typically made of almond and chocolates. Many special desserts are prepared for carnivals and religious festivals. For real foodies, who wish to perfect their culinary skills, there are several schools to learn about both local produce and techniques with the aim of creating delicious Abruzzese dishes. The locally produced olive oil, from approximately 50,000 hectares of groves, is much appreciated in both Abruzzo and the rest of the world. Wines, too are world-renowned. 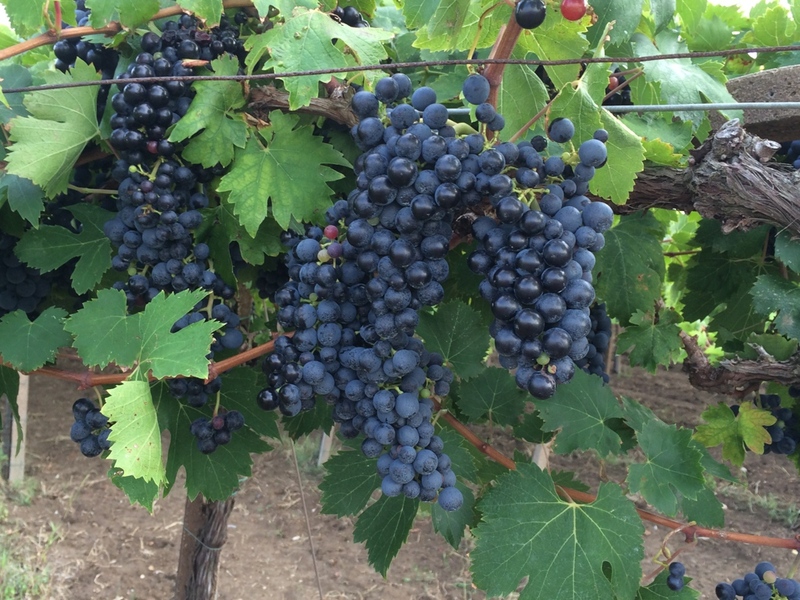 The flag ship red is Montepulciano d'Abruzzo which is typically dry with soft tannins and often consumed young. It can be paired with a variety of foods, including ragu pasta sauce, lamb and pork dishes, pizza and cheese. Trebbiano d'Abruzzo is the region's most famous white wine. It is clean, light bodied and zesty, a great accompaniment for seafood and salads. Another notable wine is the Cerasuolo, a rose which is delicious served with fish, white meats, pasta dishes, cured meats and cheeses. Lastly, the recently re-discovered, white Pecorino wine, is perfect with antipasti such as calamari and seafood. Many cantinas in Abruzzo are open for wine tasting and purchases. Abruzzo is blessed with an abundance of beautiful, historic villages and towns that rival any in Italy. Many are medieval in origin and appear magically preserved to capture the past. 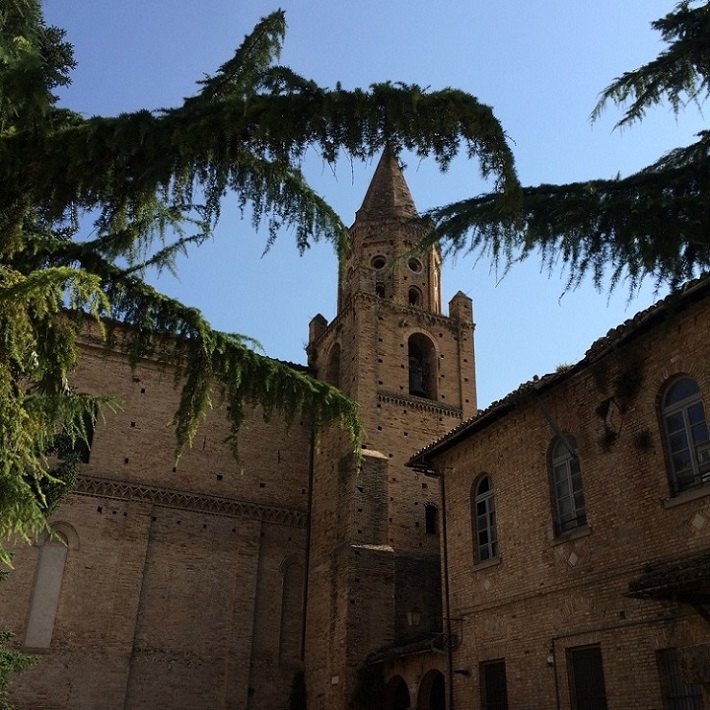 They are generally located on a hilltop and have churches with bell towers, castle ruins, a main piazza and characteristic houses. There are charming streets which are peppered with alleyways, ancient steps and archways. Often, the views over the surrounding valleys are stunning. Many are worth exploring as there are surprises and discoveries around every corner. 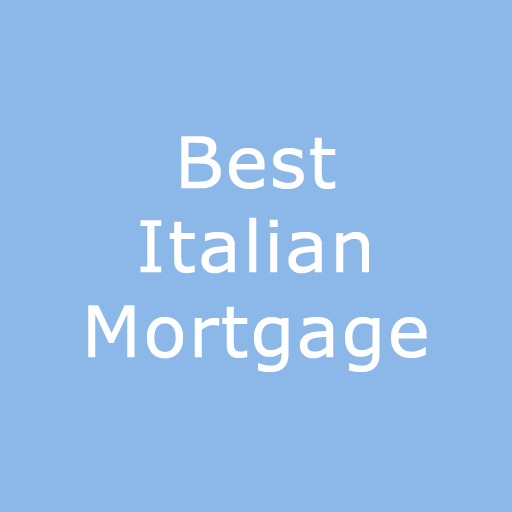 The villages in Abruzzo that have been awarded the prestigious title of 'I Borghi piu belli d'Italia' (The Most Beautiful Villages of Italy) include Abbateggio, Anversa degli Abruzzi, Bugnara, Campli, Caramanico Terme, Castel del Monte, Castelli, Citta Sant'Angelo, Civitella del Tronto, Guardiagrele, Introdacqua, Navelli, Opi, Pacentro, Penne, Pescocostanzo, Pettorano sul Gizio, Pietracamela, Pretoro, Rocca San Giovani, Santo Stefano di Sessanio, Scanno, Tagliacozzo and Villalago. The varied landscapes of Abruzzo, from the soaring peaks of the Apennines to the 130 kilometres of coast, provide activities for every passion. 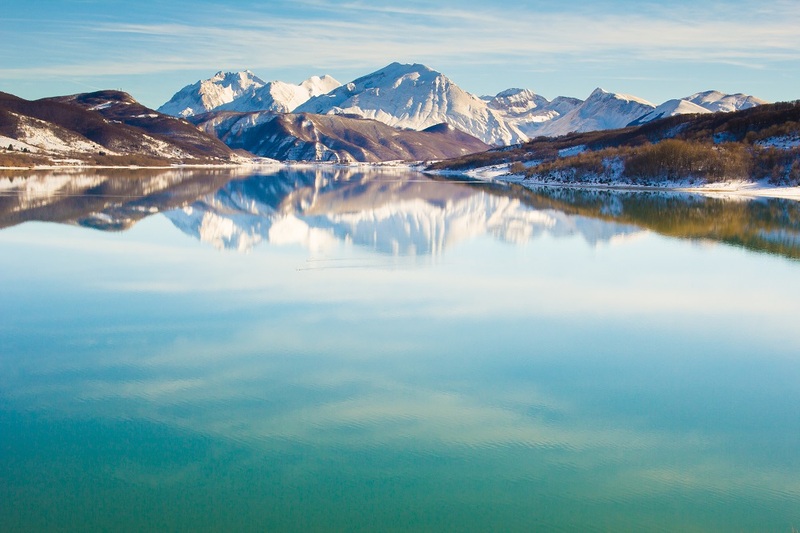 Represented in Abruzzo's National Parks, Regional Park and Nature Reserves is 75% of all Europe's flora and fauna which can be visited and enjoyed by all. The parks and mountains are crisscrossed with paths, of all difficulties, which can be covered on foot, by mountain bike or on horseback. Mountaineering is a major sport with sheer rock faces and many high peaks to tackle. There are two accomplished rock-climbing centres which teach both classic and free-climbing techniques. 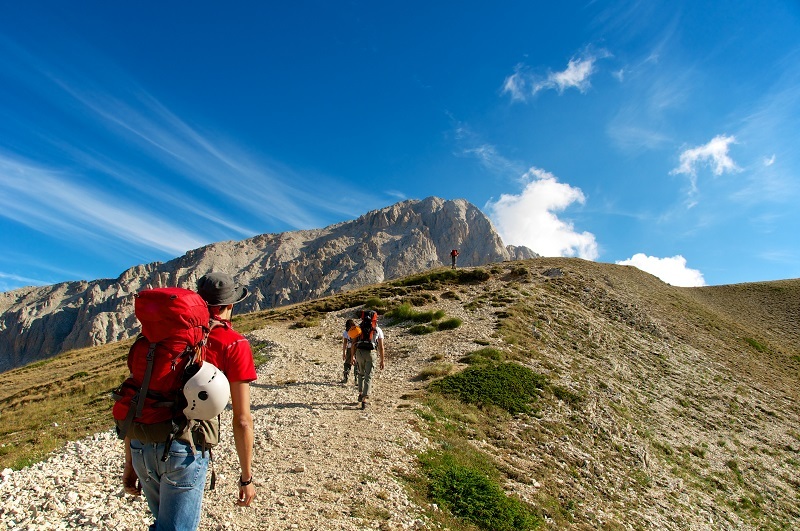 Wonderful trekking is possible all year round, thanks to the many expert mountain guides and four nature trekking schools which help enthusiasts explore, respect and appreciate the mountains. There are also easy rambling options which are suitable for beginners, families, children and the elderly. The mountains also provide an excellent base for hang gliding and paragliding whilst the splendid watercourses and lakes are available for canoeing, rafting and windsurfing. The lively coastal resorts from Martinsicuro, in the north of Abruzzo to Francavilla al Mare have an enormous selection of activities. There is beach volleyball, swimming, windsurfing, sailing and power watersports including jet and water skiing. The Trabocchi Coast from Ortona to Vasto, has concealed coves, pebble beaches, bays and crystal clear waters. It is a favourite for underwater sports including snorkeling, to view the rich marine life, and underwater photography. There are two large aqua parks, one at Tortoreto and another at Vasto adding an extra dimension to days at the seaside. The coastal hinterland has opportunities for golf, tennis, horse riding, cycling, motocross, off-roading, archery, kayaking and many other sports. The Region of Abruzzo has three national parks and one regional park. It is known as Europe's Greenest Region with more of its landscape dedicated to nature and environmental protection than any other area in Europe. The Abruzzo, Molise and Lazio National Park was the second designated park in Italy. There are mountains, woods and lakes including the artificial, yet beautiful, Lago di Barrea. It has many species of animal including the Abruzzo chamois, endangered Marsican brown bear, Apennine wolf, deer and golden eagle. Much of the area is covered with beech trees and there are over 2,000 types of plant, with the rare lady's slipper, a yellow and black orchid being the most well-known flower. The Gran Sasso and Monti della Laga National Park is one of Italy's largest parks and has the tallest peak in the Apennines, the Corno Grande at 2,912 metres. It also has the Calderone, Europe's southernmost glacier. The area comprises two separate geological entities resulting in the Gran Sasso massif which has a predominantly arid and rocky landscape and the Laga which is thickly wooded and rich in watercourses. 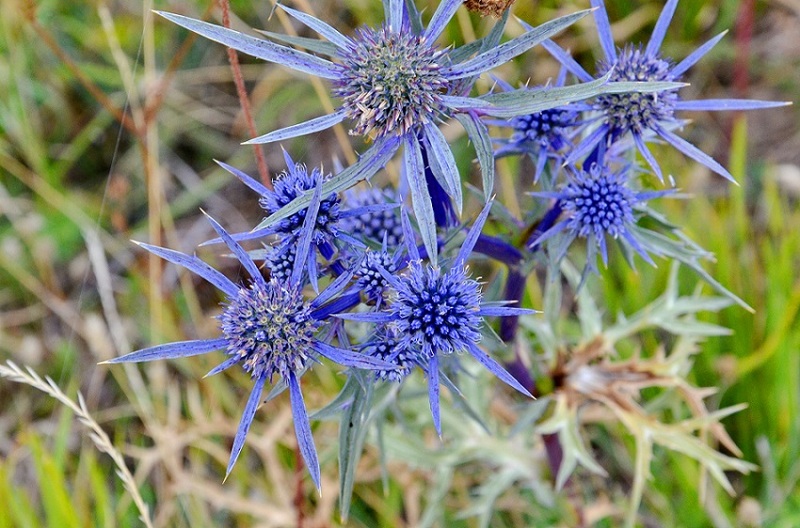 The park hosts over 2,600 different species of plant including fifty-nine orchids, two carnivorous plants and twelve species, including the Abruzzo Edelweiss, which are endemic to the area. 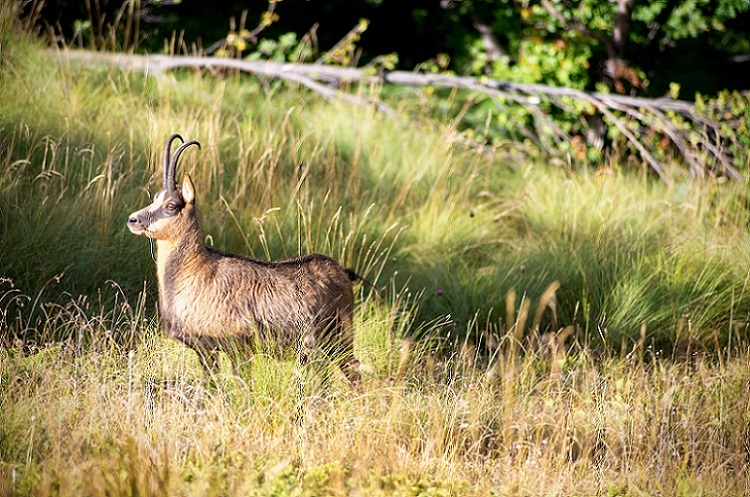 Rare animals include the Apennine Chamois, deer and wolves. In addition, there are many smaller mammals, notable birds of prey and a wide variety of insects. Dominated by mountains, the Majella National Park, is the most southerly Alpine region in Europe with at least 30 peaks exceeding 2,000 metres. The Majella Massif is known locally as the Montagna Madre (mother mountain). It hosts rare and valuable flora and fauna. The Majella is home to wolves, bears, chamois, otters, deer and roe deer. There are 130 species of birdlife including the golden eagle, peregrine falcon, eagle owl, lanner, goshawk and the dotterel. Beech woods cover the slopes from 1,000 to 1,800 metres with the mountain pine found above. There are over 2,100 species of plant, many endemic to the park. The Sirente Velino Regional Nature Park comprises two massifs. The Velino massif is in the western part of the park and the Sirente massif in the central and western portion. They overlook the Avezzano plain. The area is of special interest to geologists, due to the limestone formations which date to the Jurassic period. 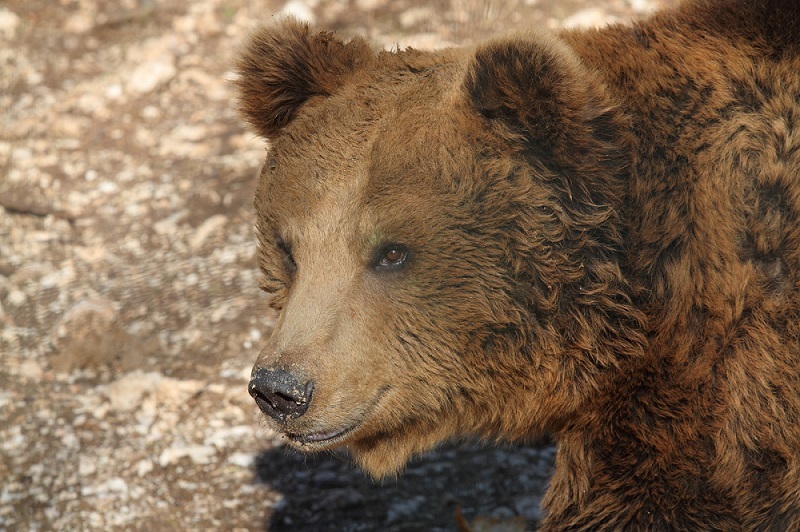 The park is home to the Apennine wolf, the Marsican brown bear, roe deer, deer, porcupine, fox, wild cat and boar. Birdlife includes the golden eagle, buzzard, black kite, sparrow hawk, kestrel, common raven, griffon, peregrine falcon, lanner falcon, eagle owl and green woodpecker. There are countless amphibians including the fire salamander and reptiles such as the green lizard and viper. The park's 1,926 species of flora include saxifrage, rare peonies and violets, and various orchids. At lower elevations there are beech, birch, hornbeam and oak forests. All the parks are great to explore with plenty of nature trails for nature and fitness enthusiasts. With 500,000 years of human presence in Abruzzo, a treasure trove of history, art, architecture and traditions have evolved over time. The peoples, territory and culture are intrinsically linked. The first inhabitants were groups of hunters, who settled the region in the earliest Stone Age. Since then Abruzzo has been a crossroads for many different peoples and cultures including Italic tribes, the Romans, the Lombardis and Normans to mention just a few. 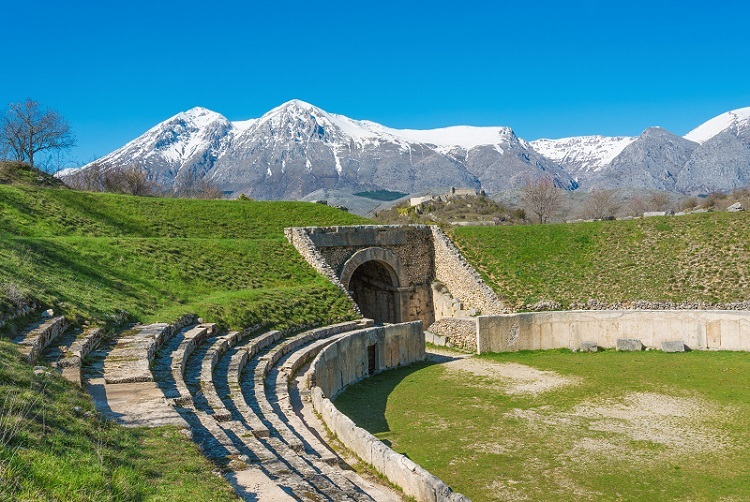 After the fall of the Roman Empire, there was a long period of political and military instability causing castles and enclosed citadels to rise all over Abruzzo to provide populations with a safe refuge in case of attack. Abruzzo has been very much influenced by Christianity which has molded Abruzzo's cultural and spiritual culture. The area was largely ignored by the nobility, so influence on day to day life was dominated by convents and abbeys. Religious architecture has therefore prevailed over civil architecture. A feature and unique component of religion in Abruzzo during the Middle Ages was the assent of the hermit phenomenon, an austere expression of Christianity. Strikingly evocative sanctuaries and hermitages developed, and many are still difficult to reach, even today. One of the most spectacular retreats is San Bartolemeo in Legio which is near the town of Roccamarice. It is etched into a rock face providing harmony with its surroundings and a tranquil place for the devout monks to live simply, contemplate and pray. 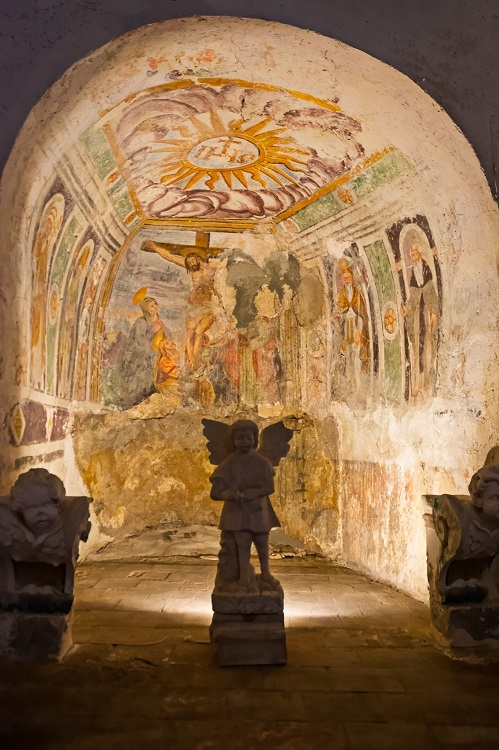 Close by, and probably founded prior to the eleventh century, is Abruzzo's most famous hermitage, Santo Spirito a Majella. 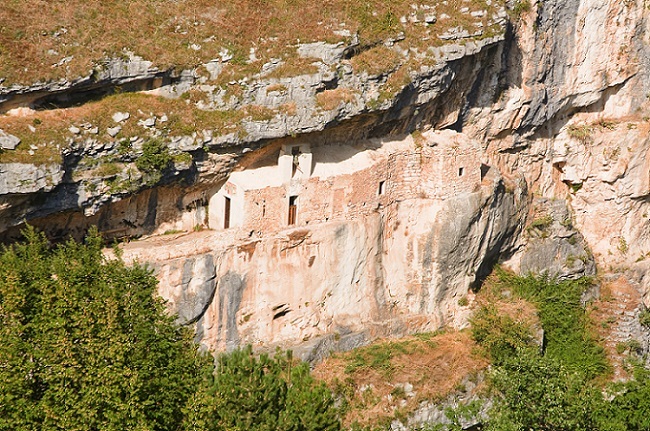 It was also constructed to blend into the mountains and was home to Celestine Monks named after Pope Celestine V, who lived at the hermitage prior to his papacy. There are so many thousands of years of human history, and this, together with the incredible landscape, has led to the development of customs and traditions which can be seen in the many events celebrated over Abruzzo. 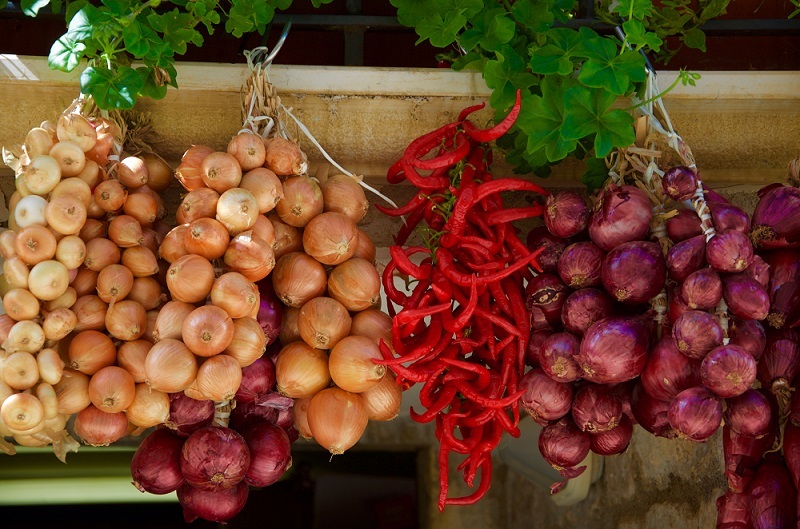 Almost every week there are religious festivals, carnivals which maintain ancient traditions and lively celebrations of locally produced meats, cheeses, grains, pulses, salamis, olive oil and wine. There have been many archaeological finds which are shared with visitors through open-air sites and plentiful museums.